At the Fence: Some Super Duper Apps! We received three Apps from Super Duper Publications for review. 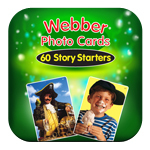 I received Story Maker Pro, Super Duper Data Tracker, and 60 Story Starters. Anyone will enjoy these Apps, but they are perfect for my homeschooling neighbors! 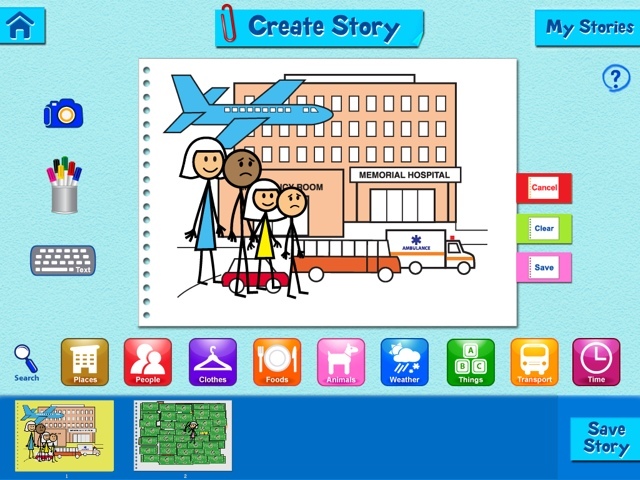 My daughter enjoyed playing on Story Maker Pro. She kept creating and re-creating scenes on the App. Not only can she add people, backgrounds, and accessories, she can also narrate her story and add sound! This is perfect for her. She is 12 and is constantly creating stories. She even purchased a typewriter at a yard sale a few months ago so she could type stories! Now she can just use my iPad. As long as she gives it back! She likes to create the stories without anyone viewing them. Then when she is done you are allowed to watch them. She has always been this way when writing! 60 Story Starters is a unique way to get your children started writing. First they are shown a picture, and then the App starts the story for them and they have to finish it. Each picture has more than one starting choice, so if they don't like the first one another can be chosen. Now the Super Duper Data Tracker is a handy App. Right at your fingertips you can track your child/student's progress. You can enter names and goals for each student and then chart their progress. And it is so convenient to have right there on the iPad. Below is a video showing you how to use the Data Tracker App. Technology has always been improving education in the classroom for decades. It’s been helping teachers to expand beyond linear, text-based learning to engage students who learn best in other ways; like with visual and auditory aids. Now, thanks to Super Duper Publications, the same tools teachers are using in the classroom are available to the public. Parents and therapists have been turning to Super Duper for on-the-go lessons anytime for language arts, special needs or to monitor progress. However, with their mobile apps, Super Duper has created something that transformed from “useful” to “some of the most powerful educational apps for teaching reading and supporting differentiation for students with disabilities,” says Scholastic Instructor magazine; who recently named its 50 Fab Apps for Teachers. Included in that list was Super Duper Publications, not once, but three times! 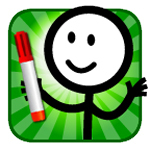 · In the category of Language Arts, Super Duper StoryMaker makes the list of just 7 recommended apps for mobile devices. · Erasing the need to carry sets of articulation cards or language worksheets from classroom to classroom is Super Duper's WH Question Cards Pro in the Special Needs category. 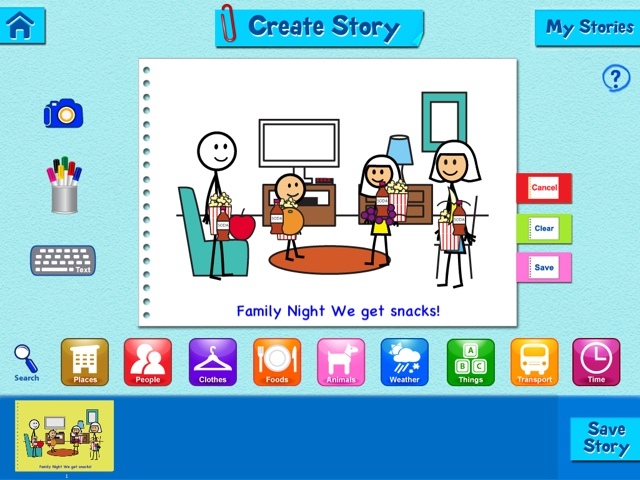 These two apps, StoryMaker and WH Question Cards Pro, also won the Spring 2013 Seal of Approval from The National Parenting Center this week. · Of the 4 Classroom Management Apps, Super Duper's Data Tracker makes the "fab" list. Which allows you to monitor students’ progress through a subject area with the tap of a finger. These Apps from Super Duper are available for both Android and iPhone, iPad, iPod. Prices range from $1.99-$11.99. You can find them in the iTunes Store. I was only able to use the Super Duper Data Tracker a little as we were traveling and took some time off of school, but we did use the other two Story Maker Pro and 60 Story Starters. They actually entertained some on the trip! I just had to make sure to charge my iPad every night! Now, one neighbors will receive these Super Duper Apps also. Since my son has autism, I know he/we would get a lot of use out of "What Would You Do at School If..."